I stumbled across this saying this week and I think it holds a lot of good advise. I have done all the things listed in the photo. If you haven’t, then you don’t know what you are missing. Being friends with people who are of a different age group than you has benefits. Those who are older have knowledge to share, have lived through portions of history that took place before you were born, and have grown up without many of the everyday conveniences you now take for granted. Friends who are younger are refreshing and vibrant. They have a different viewpoint on life because they have grown up in a technology and computer based world. Their life experiences are different. Their expectations for what they can get out of life and career are broader based. You have lived through portions of history that took place before they were born. I have a friend who grew up in India and came to America when she got married. She had an arranged marriage and had only met her husband 2-3 times before they were wed. She learned to speak English after coming to this country. We spent seventeen years working together. We discussed everything from culture, marriage, religion, children, and mourning/funeral practices. When you become friends with someone whose first language and culture is different then yours it can be a very rewarding experience from which you both grow from the knowledge acquired in the sharing of information. Getting to know someone who is not from your same social class is probably the most intimidating and most difficult of all of the contacts listed. However it opens you eyes to the way other people live and can broaden your understanding of what those people cope with on a daily basis. Someone who comes from a higher social class than yours can make you feel intimidated, uncomfortable, and possibly lacking in the fine, cultural knowledge that frequently accompanies such status. On the other hand, someone who comes from a lower social class than yours may also make you uncomfortable. You may be shocked at the condition of their clothing, furniture, housing, where they shop for clothes, or any other multitude of things. Whether dealing with someone of a higher or lower social class it is important to remember, we are all people, and just because someone is different, doesn’t mean they lack value, compassion, or understanding. It is easy to make assumptions about people who are different than us. Destroying those assumptions and converting them into friendly contacts is beneficial for all. That is the basis of achieving peace. 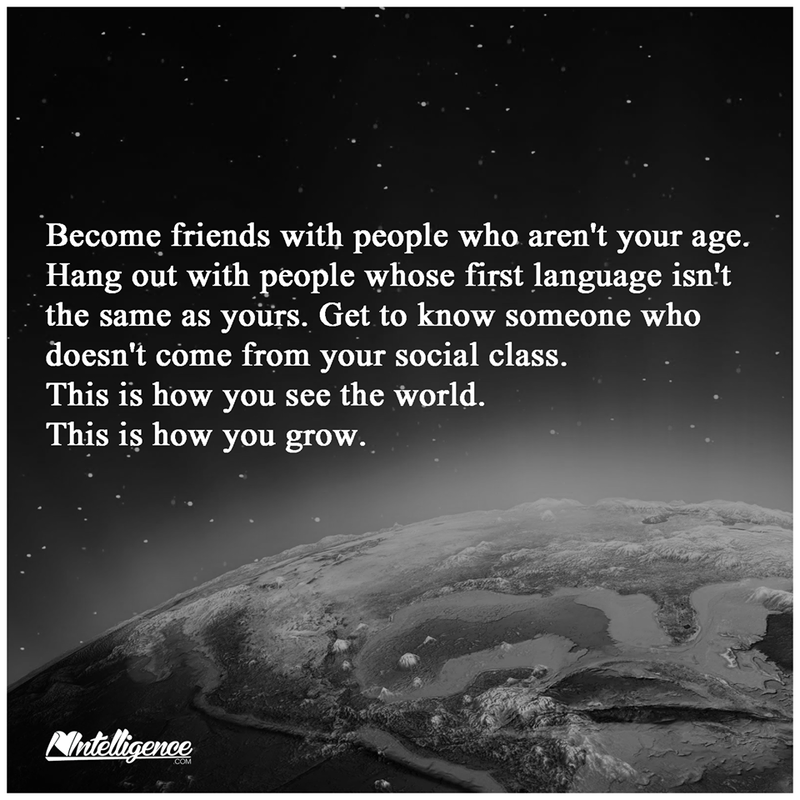 Whether the friendships you develop are based strictly on work relationships, club relationships or friendships that grow and develop beyond those areas, they are still valuable resources for stepping outside of your comfort zone and experiencing something different, which is always enlightening.